I’m fed up with the left wing media saying anyone who voted Brexit or for Trump is stupid and heavily influenced by fake news. If I read interesting news stories online that are striking or questionable I 'Google it' to check it, and if a reputable news source is running the story to then it’s clearly true. We are not stupid. We don’t believe everything we read. I am not influenced by everything online that is right wing and bigoted. The latest scandal involves Facebook and a company called Cambridge Analytical, who used sneaky software to spam facebook users with various subliminal and targeted tactics, ads and fake new stories to induce fear and apparently get people to vote for Trump. It’s almost as if the left want to rationalise the Trump vote and it’s not down to free will. I’m not a Trump fan but people are entitled to vote how they want in a democracy and so you have to accept it. Trump and Brexit won the day because the Clinton and Remain voters took the result for granted and did not come out in force to vote. Now that is stupid in my book! Actually Hilly got more votes from people than Donny did, but that electoral college thingy... 40% didn't vote for anyone...THOSE are the idjits. They didn't want either but were too dumb to try for a third-party candidate. Of course, the people that voted for Don were still stupid in my opinion. @thedevilinme Clinton is a witch...fake news? Btu a lot of people believed in it. Why is that the Liberal media is good at spreading lies...they can't get over after losing the election. Now they are trying to demolish Trump using presstitutes. @thedevilinme I was in the US when Barack was running. I was at the only speech he gave in Orlando. The place was packed and looked like a United Nations. Every colour, every group was there. I saw Japanese and Chinese Americans, Black, white, and those you'd instantly label supremists, and everyone was there. And as many people who were inside more were outside, and the only reason I got inside through the crowd is cause I'm Jamaican, and we do things 'differently'. Barack had the across the board support. He didn't have to 'target' any group. Yes people can vote how they like. That is what I said, was not Facebooks fault because people just can't think for themselves. That being said Facebook has some serious problems right now. I said the one thing that can ruin them is if they start abusing their power. This latest news about them selling out 50 million people to Cambridge Analytica is straight scary. This is as corrupt as I have ever seen this country. Facebook is to blame on this because they did not care and wanted to be paid. Yet another reason I get so mad at how people get so upset at disrespecting symbols but not when people are actually selling our country down the crapper. This video explains who Cambridge Analytica is and how they conduct business. @thedevilinme Oh, I had no problem, but it sure looks like our leaders did. we definitely agree on this...I have warned people about Facebook maybe now they'll believe me. You'll never see me browsing facebook. I have had my account since the beta phase and I was on there only to play FarmVille and farm town. But after a year of being addicted to that game, I gave up on facebook. Especially now that I see people sharing fake news believing it to be true and cursing each other because of differences in political views. That social media site isn't for me. Calm down. Firstly, yes, a lot of people did NOT come out to vote. No one can question that fact. They figured it was a 'sure thing', Hilary being elected, G.B. remaining. No argument at that narrow issue. 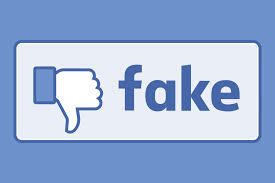 However, a lot of people were influenced by what they read on Facebook, by the apparent 'facts' that were used, (you and I will read anything that seems a little off and run from Reuters to the BBC to Al Jaazera if necessary to prove/disprove... we are the extreme minority). This company did play a role in the results... and were well paid for it. trump won because hillary was a terrible candidate and had a history of negativism politics. she couldnt run on her record or obamas to win, she even had the primaries rigged for her to win, and yes theres proof.